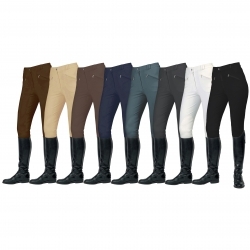 These breeches are super comfy and stretchy, with a Euro style seat, making them perfect for everyday use. They are made from 68% cotton, 25% polyester and 7% lycra, giving freedom of movement. 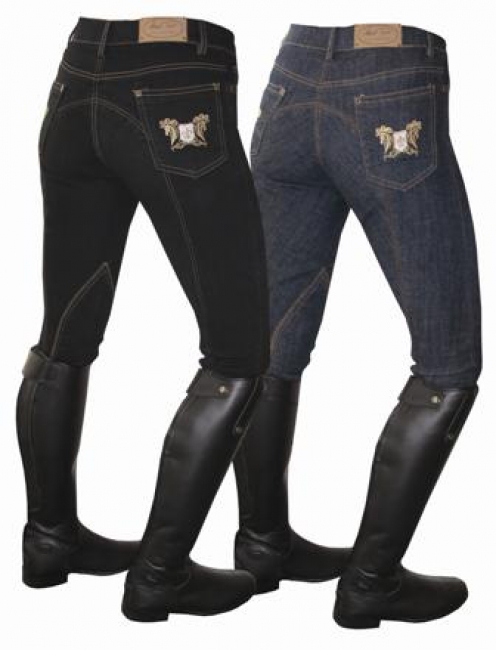 Featuring two jean style open pockets, one small coin pocket, belt loops, knee patches with contrast stitching and a self fabric euro seat.